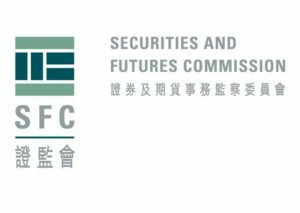 Hong Kong’s Securities and Futures Commission (SFC) has revealed that it will lay down regulatory guidelines for Crypto exchanges on the island. In a statement released on Thursday, the city’s securities watchdog said the move has come after it identified risks linked to Cryptocurrency investment. China banned Cryptocurrencies and related activities last year and it is clear that Hong Kong is not ready to go the same way. On Thursday, Hong Kong’s Securities and Futures Commission (SFC) announced that it is planning to regulate Cryptocurrency exchanges. The island’s securities watchdog added that it is working to establish how it will go about regulating the sector. 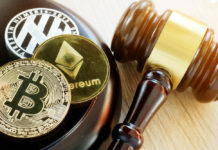 The introduction of regulations in the sector is expected to enable Crypto firms to operate in a conducive environment while at the same time protecting investors from unscrupulous dealers. In a statement, the agency noted that Cryptocurrencies have in no way posed a risk on the country’s financial stability. However, the organization noted that securities regulators around the world have noted that Crypto firms pose a significant risk for investors hence the need to protect them. In the statement, SFC noted that some risks are due to the nature of Cryptocurrencies meaning that exchanges have little control over them. However, the agency also noted that there are others that are linked to the operations of platforms. Therefore, there is the need for the authority to intervene to ensure investors don’t lose their money through the dealings of the trading platforms. The agency went further to list some of the risks it identified. 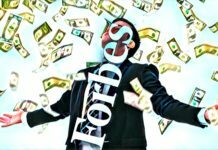 They include valuation that stems from the liquidity and volatility of a Cryptocurrency, fraud, and money laundering. The organization also noted market integration, cybersecurity, and accounting as other important risks that have seen investors lose their funds. SFC has already communicated its plans to the various Crypto firms on the island. In the circular, the agency has said that it “may” define some Cryptocurrencies as “futures contracts” or “securities”. In the circular, the securities watchdog reminded the businesses about the need to meet the requirements of the Securities and Futures Rule if they are involved in the trading and asset management of Cryptocurrencies. Last year, China banned all Cryptocurrencies and related activities in the country. This forced many Crypto firms to move to more Crypto-friendly regions while others closed their businesses. According to many experts, such an extreme measure can only hurt the sector and discourage innovation. 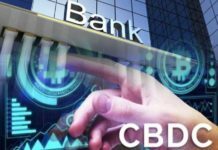 Hong Kong, however, is among some of the regions that have chosen to allow the Crypto businesses to operate while at the same time trying to find ways to regulate the sector without hurting it. Recently, Hong Kong has become home to some of the largest Crypto firms in the world. Regulation has allowed the local population to enjoy the benefits associated with Cryptocurrencies. The island understands the need to protect Crypto investors while at the same time allowing the sector to operate.